What Is the Percentage Rate That the IRS Taxes People? 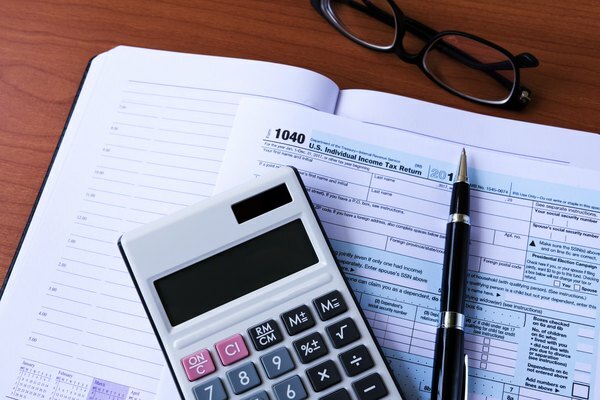 The federal tax code doesn’t make many people’s leisure reading list, but it has a drastic impact on your finances because each dollar you pay in taxes is one less dollar making its way to your bank account. The percentage rate you pay depends on how much taxable income you have and your filing status. Plus, not all types of income are taxed at the same rate, so you need to know all the rules to plan for the taxes you’ll owe when you file your return. As of 2018, the marginal tax rates imposed by the IRS are as high as 37 percent for ordinary income and 20 percent for long-term capital gains, but if you’re a high earner, you might have to pay additional taxes like the Net Investment Income Tax or Additional Medicare Tax. Under the Tax Cuts and Jobs Act, which first takes effect in 2018, the income tax brackets range from 10-percent-to-37-percent for all filing statuses. However, the tax brackets for each filing status are different. 10-percent federal tax rate on your first $9,525 of income. 12-percent tax rate on income between $9,525 and $38,700. 22-percent tax rate on income between $38,700 and $82,500. 24-percent tax rate on income between $82,500 and $157,500. 32-percent tax rate on income between $157,500 and $200,00. 35-percent tax rate on income between $200,00 and $500,000. 37-percent tax rate on income more than $500,000. 10-percent tax rate on your first $13,600 of income. 12-percent tax rate on income between $13,600 and $51,800. 22-percent tax rate on income between $51,800 and $82,500. 32-percent tax rate on income between $157,500 and $200,000. 10-percent tax rate on your first $19,050 of income. 12-percent tax rate on income between $19,050 and $77,400. 22-percent tax rate on income between $77,400 and $165,000. 24-percent tax rate on income between $165,000 and $315,000. 32-percent tax rate on income between $315,000 and $400,000. 35-percent tax rate on income between $400,000 and $600,000. 37-percent tax rate on income more than $600,000. 10-percent tax rate on your first $9,525 of income. 35-percent tax rate on income between $200,000 and $300,000. 37-percent tax rate on income more than $300,000. Capital gains refer to profits you make from selling capital assets, which include just about anything you own for personal use or investment like your residence, car, stocks or mutual funds. Capital gains are sometimes taxed at lower rates than ordinary income, but the lower rates only apply to long-term capital gains. These are profits from selling assets that you owned for more than one year before selling. Your capital gains for the year can be offset by capital losses on assets you held for investment purposes. For example, if you sold two stocks you've owned for more than a year and recognized a $6,000 gain on one and a $2,000 loss on the other, you only pay the capital gains tax on $4,000 of net income. However, you can't use losses on sales of personal assets, like your home or automobile. The capital gains rates for 2018 range from 0-percent-to-20-percent, depending on the amount of income you have and your filing status. To calculate the rate for your long-term capital gains, first, figure your other taxable income. Then, add your long-term capital gains to determine the rate applicable to your long-term capital gains. For example, if you’re filing as single, the tax brackets are 0 percent on capital gains that would bring your income up to $38,600, 15 percent on capital gains that would bring your income to between $38,600 and $425,800 and 20 percent on capital gains income that boosts your total taxable income above $425,800. For example, say your other taxable income is $37,600 and you have a $2,500 capital gain; the first $1,000 of that gain brings your income to $38,600 so you don’t pay any tax on that portion because the rate is 0 percent. But, the remaining $1,500 of capital gains falls in the 15-percent tax bracket so that you would pay $225 in capital gains taxes on that portion of your profits. For the head of household, the 0 percent bracket applies to income up to $51,700, the 15-percent rate applies to income between $51,700 and $452,400 and the 20-percent bracket applies to income over $452,400. If you’re married filing jointly, the brackets are even larger. The tax-free rate applies to capital income that brings your total taxable income up to $77,200, income between $77,200 and $479,000 is taxed at 15 percent and income over $479,000 is taxed at 20 percent. The tax brackets if you’re married filing separately are half the size of the joint return brackets; income up to $38,600 isn’t taxed, income between $38,600 and $239,500 is taxed at 15 percent and income over $239,500 is taxed at 20 percent. One exception to the long-term capital gains tax rates is for collectibles such as baseball cards, stamps, antiques, artwork and coins. If your profits from selling a collectible are eligible for long-term capital gains rates, the percentage tax rate applied is 28 percent or your marginal tax rate for ordinary income, whichever is lower. For example, if your ordinary income puts you in the 22-percent tax bracket, you would pay 22 percent on your collectible sale profits. But if you’re in the 37-percent tax bracket, your profits from selling collectibles are taxed at 28 percent. High earners are subject to a couple of additional taxes on income over a certain amount. 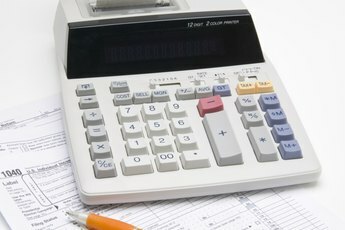 The Additional Medicare Tax is a 0.9-percent tax that applies to all of your earned income, such as wages and self-employment income, in excess of the income threshold for your filing status: $250,000 for couples filing a joint return, $125,000 for married individuals who file a separate return and $200,000 if you file as single or head of household. These thresholds are not indexed for inflation. For example, if you’re married but file separate returns and your earned income totals $130,000, you must pay the additional 0.9-percent tax on your last $5,000 of taxable income. For investment income, there is also a Net Investment Income Tax. 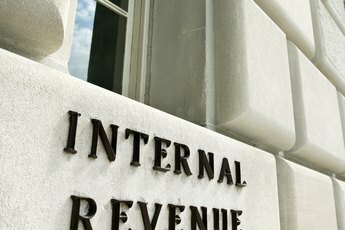 This tax adds 3.8 percent to the smaller of your net investment income or the amount by which your modified adjusted gross income exceeds the threshold for your filing status: $250,000 for couples filing a joint return, $125,000 for married individuals who file a separate return and $200,000 if you file as single or head of household. These thresholds are not indexed for inflation. Your net investment income includes interest, dividends, capital gains and royalties. For example, say you’re married and filing a joint return, your modified adjusted gross income for the year is $237,000, and you have $33,000 of net investment income. Your threshold is $250,000, so you have $20,000 of net investment income more than the threshold, so that’s the amount the 3.8 percent Net Investment Income Tax would apply to. But if your modified adjusted gross income had been $250,000 or more, the Net Investment Income tax would have applied to the entire $33,000 of investment income. The tax code sets the tax rates that apply to your taxable income, but how much of your income is subject to those rates can vary significantly from person-to-person depending on what tax deductions and credits the taxpayers are eligible to claim. Your marginal tax rate refers to the percentage rate that you pay on the last dollar of income. For example, if you fall in the 24-percent tax bracket, that means that the highest rate you pay on any of your income is 24 percent, not that you pay 24 percent of all your income to the IRS. When looking at the rate that you pay, you can calculate your effective tax rate by dividing your total federal income tax liability by your total income. For example, if you make $87,000 and pay $14,000 in income taxes, divide to find you’re paying an effective tax rate of about 16.1 percent. If someone else makes the same amount of money, but because of additional deductions and credits only pays $11,000 in federal income taxes, that person’s effective tax rate is about 12.6 percent. In addition to the tax rates dropping as discussed, the standard deduction amounts increased substantially to $12,000 for singles and each spouse when filing separate returns, $18,000 for heads of household and $24,000 for joint returns. For some taxpayers, this will save money on taxes because they weren’t itemizing their deductions before, so the increased standard deduction is essentially a free additional deduction. For other taxpayers, the savings may not be as much. For example, in previous years if you are single and have $11,500 in itemized deductions, which include charitable contributions, mortgage interest and state and local income or sales taxes you would have itemized your deductions and reduced your taxable income several thousand dollars over claiming the standard deduction. However, with the standard deduction for singles now at $12,000, it makes sense to claim the standard deduction, but the higher standard deduction only decreases your taxable income by $500 over the sum of your itemized deductions. In addition to the tax bracket changes, in 2017, the standard deductions for each filing status were just over half of what they were increased to under the Tax Cuts and Jobs Act. 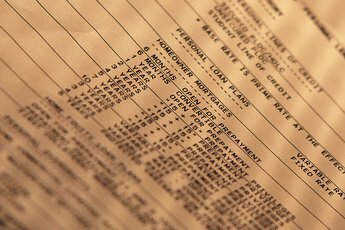 The standard deductions for 2017 were $6,350 for individual filers including single and married filing separately, $9,350 for taxpayers using the head of household status and $12,700 for married couples who filed a joint return. However, in 2017, taxpayers were also able to reduce their taxable income for each personal exemption they claimed. These include a personal exemption for yourself and your spouse if no one else can claim you as a dependent, plus an additional exemption for each person you claim as a dependent. Each allowance reduced your taxable income by $4,050. But, the value of exemptions was reduced to $0 in 2018. IRS: What is the Additional Medicare Tax? How Much of a Salary Goes to Taxes? Can I Average My Federal Taxes Over the Last 5 Yrs? What Are the Income Tax Brackets in the United States? What Percent of Your Income Should Be Applied to Your Mortgage? What Is the Tax Consequences of Giving My Inheritance to My Brother?